One of the best ways for a business to see and understand their SEO ranking is through reports that contain analyzed data so the reader can quickly and easily understand tables, charts and other layouts that show trends at a glance. Simply knowing a company’s SEO ranking for each search engine is not enough to help an established business make intelligent decisions regarding SEO content. Through analysis, rank reporting provides tools for business owners to gain further understanding of how their keyword is placing on Google and other search engines. Presenting SEO ranking reports this way shows where the greatest impact for marketing exists, and allows for planning to create impact in other areas. Having a ranking report that shows local impact is invaluable in discerning what factors can be adjusted. To see how your SEO content is attracting your customers, you could use highly sophisticated software acting as a sort of SEO content checker. Ask a co-worker, friend, or family member to help, using their own laptop.Using the same search engine, type in an identical query in the search box. When the results are compared, it reveals that even though the search terms are identical and performed using the same search engine, the results vary. Each search engine populates search results using learned information from that user’s laptop, then supplies results that may be most relevant according to the user’s patterns applied during the search. For example, if each user typed in chocolate chip cookies, but one of the user’s sold Girl Scout cookies using Facebook or other social media platforms, then Girl Scout Cookies may populate in the search results for this user only. The other user may be a shopaholic, which would most likely include their favorite online shopping venues among the results. This experiment demonstrates that there is a myriad of factors that can affect a user’s search results. But with intelligent marketing strategies, one could break through all these personalized factors and find keywords and SEO content that will place a business among any user’s search results and in the highest rank possible. While some users may look on the second, third and even fourth pages of results, it is more likely they will select from the results offered in the first page, or run another search with modified search terms rather than explore the plethora of pages that populate. Because these factors can dramatically differ among users, applying a scientific method to gather data in order to understand search engine rankings is of vital important. Understanding how to use that information to make changes to SEO content to boost rankings is also essential in determining SEO content. SEO Ranking Reports do just that when the best software is employed. SEO ranking reports show which keyword is effective. It gives marketing experts invaluable tools to understand how each company achieves their rank in Google and other search engines. Using sophisticated software, created using scientific methods, to act as an SEO checker, Authority Solutions™ will be able to examine a company’s use of SEO content against search terms for Google and other search engines. SEO ranking reports also provide tools to understand how SEO rankings impact local businesses, determining through rigorous analysis the best ways to use SEO to raise the ranking in SEO ranking reports.  Authority Solutions™ provides clients with customizable report templates. These templates allow them to create a personalized report by using a color scheme that best reflects their business, and by adding a logo or other personal touches to remove the “out of office” document appearance. Using these templates brings continuity to the report and bolsters confidence. Customization keeps focus on the information enclosed in the report and not on where the report was compiled, or who compiled it. Additionally, G drive and Dropbox are integrated to make saving to G Drive and accessing them using Dropbox easy. Immediate or scheduled reports can be saved using these two convenient storage and transfer options. Being able to see how the search engine perceives content is invaluable, which makes the proprietary software Authority Solutions™ uses priceless. Authority Solutions™ is all about brand building and helping companies generate the SEO ranking report that makes marketers giddy with satisfaction. Part of this entails compiling documents for clients that need to be sent out directly for the client. This is why one of the services provided is personalized email. This entails ensuring that every email sent has the client’s’ return email address, not Authority Solutions™’ email. This will guarantee that no unauthorized user receives alert to the use of an outsourced company, and that questions and replies to any emailed reports go to the people who can answer them. All communication sent on behalf of clients is sent with the client’s email address and contact information. Host-shared reports– Generate a link leading to the report using your own business’ domain in the URL. SEO ranking using keywords is a tried and true method to drive traffic and achieve conversion. A company providing SEO Ranking software or a rank position checker is extremely valuable to local businesses using SEO keyword content. Authority Solutions™ uses tools such as SEO ranking result or rank checker to help businesses achieve the top spot on the front page for anyone looking for their specific product or services. As most established businesses understand, SEO ranking is one of the most important aspects of a company’s Internet presence. If customers are finding the sight, then working on the SEO ranking will bring a company from page five to page one, helping them get seen, get clicked and get conversions. Thorough analysis of the data facilitates solutions on boosting a company’s position, by creating a workable SEO keyword-rich content generated using proven scientific methods. Each business presents unique needs; thus, Authority Solutions™ advisors use their expertise in preparing a personalized plan to specifically address these needs based on the company’s SEO ranking report. Each SEO ranking solution relies on information contained in these rankings reports to create the best possible marketing strategy for each individual business, building personalized solutions that work. 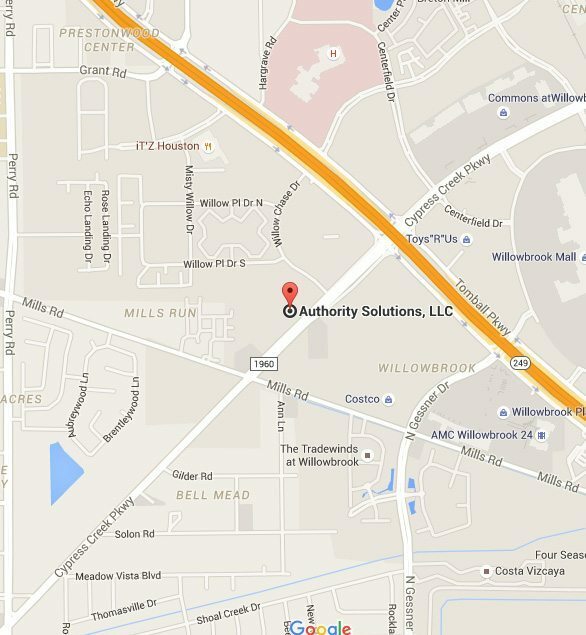 Authority Solutions™ has the tools to get the reports desired for each search engine. 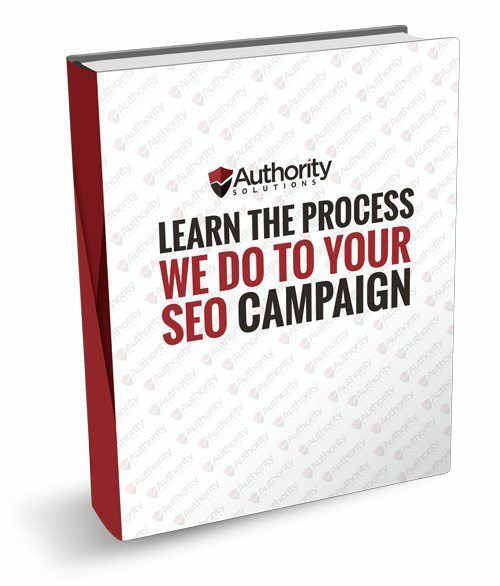 To get your SEO rankings reports, call SEO experts at Authority Solutions™. To get started on working on your SEO ranking today, fill out the online form and an Authority Solutions™ seasoned professional will assist you with your Google placement and get your established local business booming.